Building Resilient Communities through Voluntary action and Social Enterprise. Our mission is Building resilient communities through voluntary action and social enterprise, providing excellent support for our members and being an influential voice. Our Sector Support service is resource intensive, but we are investing in it because we believe providing support to volunteers, voluntary and community groups, charities, social enterprises and community interest companies - has to be at the heart of what we do. We provide a wealth of information and resources to volunteers, voluntary and community groups, and third sector organisations as part of member benefits and we want to keep our services as accessible as we can, and to reach as many people as we can. This is why we offer FREE membership to volunteers, voluntary and community groups and third sector organisations operating in Denbighshire with an annual income of less than £50,000, with a fair and proportionate structure based on turnover. 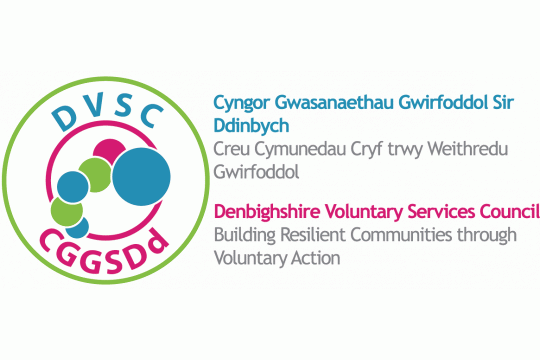 Our new website captures the change DVSC has been through over the course of the last few years with a renewed focus on our core mission; supporting our members, working with them to strengthen the voice and impact of the third sector in Denbighshire, and promoting understanding and awareness among our partners about the importance of a sustainable third sector so that together we can build resilient communities.